I’m about to try something new…making my WordPress blog my homepage! Getting search engine hits is essential to success as a wedding officiant, and by pointing people to my blog, I’m hoping that by giving my readers (Yoohoo! Readers!) regular entries about Los Angeles wedding venues, great vendors I get to work with and, of course, beautiful pics of newlyweds, I’ll up my SEO (search engine optimization) results and have more opportunities to serve more fantastic couples! I’m really looking forward to Jenna and Gabriel’s wedding this coming Sunday, on the canals of Venice, California. So romantic! 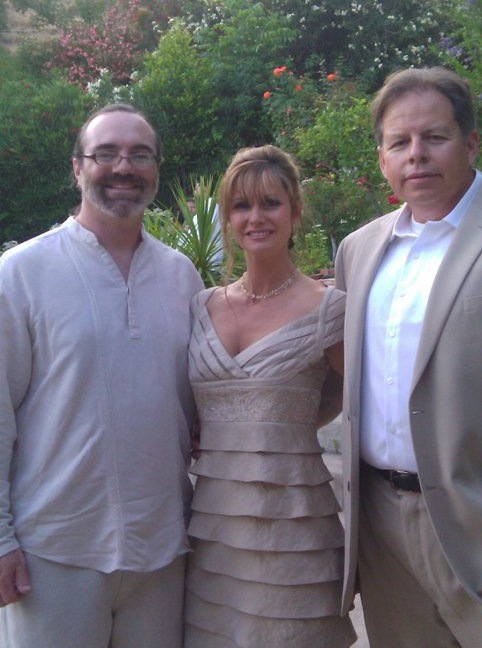 I’ll leave you now with Rich, Jacquie and me at their July 4th celebration. Congratulations!